We are pleased to work with you personally when selecting a sewing machine. Call or email with your questions or better yet stop by our shop for a demonstration. 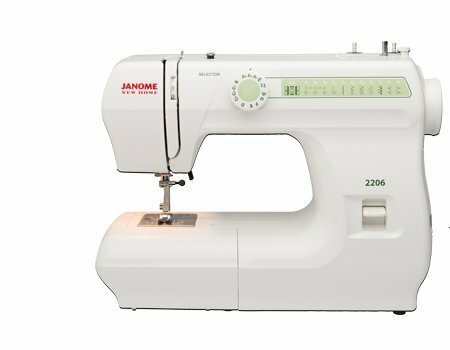 You will appreciate the value of owning a machine purchased from a certified Janome and Handi Quilter dealer. Let us show you how important your sewing needs are to every member of our staff. Our sales specialists, teachers and technicians look forward to working with you and the right machine for all your stitching needs. Plus, we are here to answer questions on your machine anytime you need help. *Upgrade Option only applies to the original owner of the machine and is subject to inspection of the machine. We may elect NOT to buy back a machine if it is overly worn or damaged or adjust the buy back price as appropriate. Buy back price idoes not include any additional accessories. Annual service during the anniversary month of your purchase. If service is not started within the anniversary month the contract is no longer in effect. Parts covered under JANOME warranty will be replaced at no charge. Priority status if your machine requires additional service between visits. Receive FREE machine rental if your machine service is not completed within 10 days of arrival. Assurance that your machine will be in good working order for all projects and extended machine life. Regular maintenance helps machines run trouble free with less down time.